Thank you to everyone who partook in LakewoodAlive’s celebration of 15 years of community vibrancy! We are forever grateful for the incredible support we receive from our community! 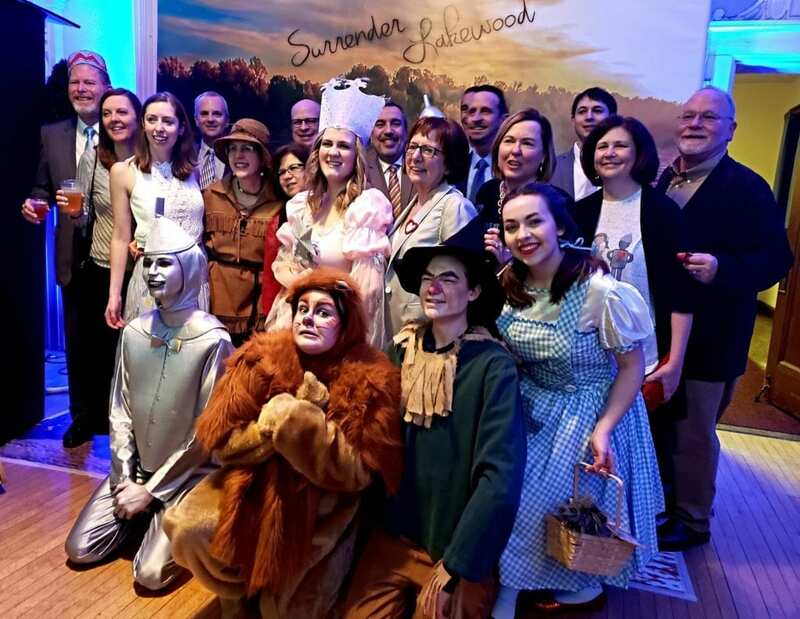 Guests entering the Lakewood Masonic Temple’s ballroom were treated to a transformation of the historic building’s interior into a collection of “not in Kansas anymore” scenes from the Wizard of Oz. 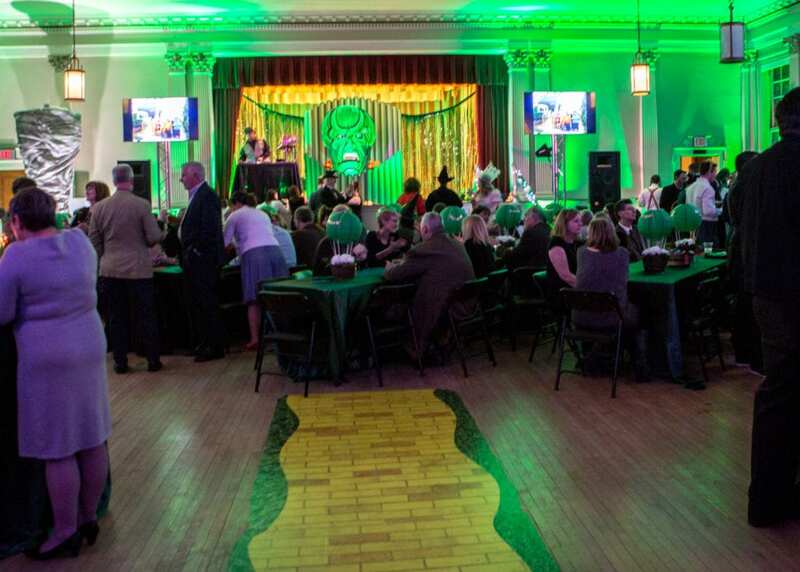 A Yellow Brick Road greeted attendees and led them to the stage, which displayed a larger-than-life Wizard with an emerald green face flanked by fiery flames. 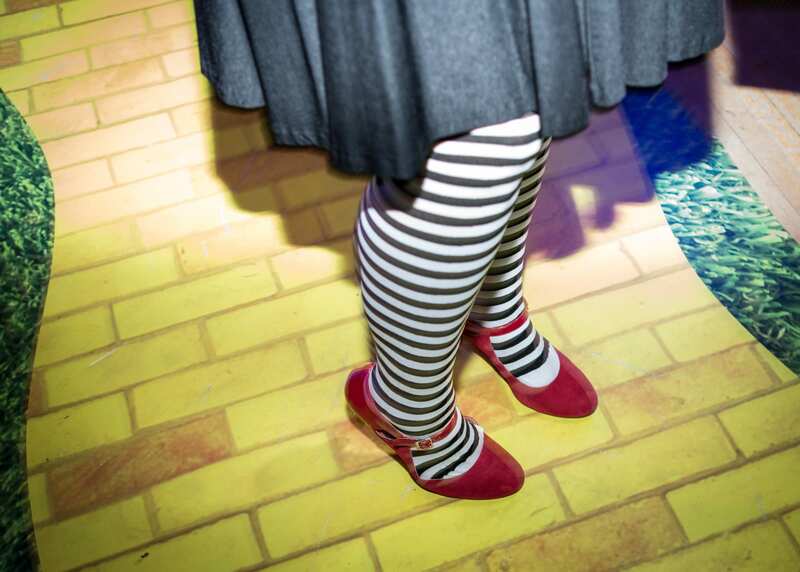 Both ends of the ballroom depicted fighting apple trees, while the west-end featured a spinning tornado and a photo booth beckoning guests to sit on a broomstick while the backdrop proclaimed “Surrender Lakewood” atop an aerial view of the Solstice Steps. 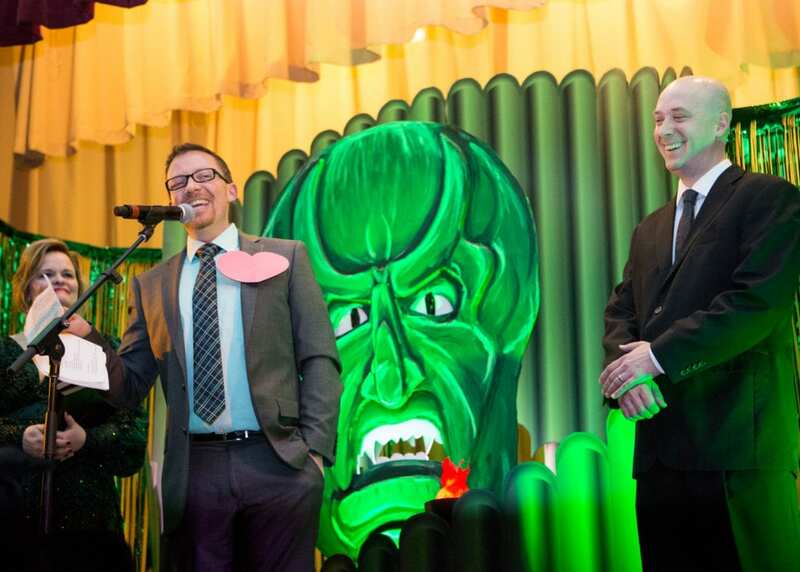 During the program emceed by local favorite media personality Mark “Munch” Bishop, Outstanding Volunteer Awards were bestowed to three extremely worthy recipients (Aaron Cooper, Rob Donaldson and Missy Toms) who have graciously given their time and talents to LakewoodAlive. Founders Awards were bestowed to four honorees (Jenni Baker, Mary Anne Crampton, Jay Foran and Mikelann Rensel) in recognition of their exceptional contributions to Lakewood’s community vibrancy. The Great and Power Gem Game saw one lucky winner receive a .58-carat ruby gemstone with a retail value of $1,450, as well as a $250 credit towards a setting for the ruby at Lion and Blue. Additional winners emerged from participating in the sideboard contest, raffles baskets and a live auction. LakewoodAlive thanks the many volunteers who contributed to this fundraising event, especially the following members of the There’s No Place Like Home Committee for their tireless efforts: Julie Warren (chair), Michael Bentley, Mary Bond, Kelly Florian, Jarrell McAlister, Brittany O’Connor, Blaire Skinner, Darren Toms, Missy Toms and Shawn Warren.